This is one of our commonest Crowfoots and although many of them will only be found in water, often moving water, this one is perfectly happy on mud. 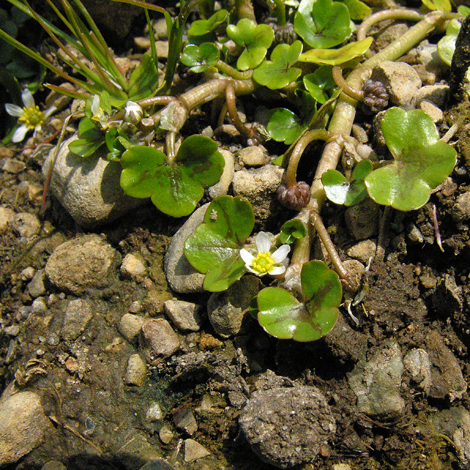 It has been known at this site for decades but sometimes disappears for a year or two in dry times. 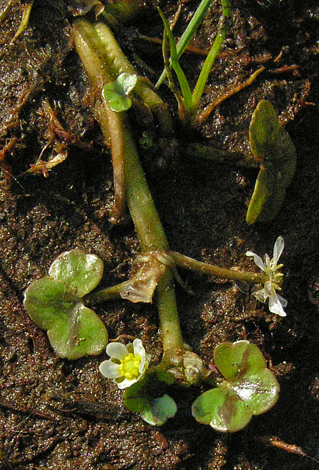 The leaves are similar to R. omiophyllus (Round-leaved Crowfoot) but in R. hederaceus the lobes are very shallow and the sepals don't reflex. 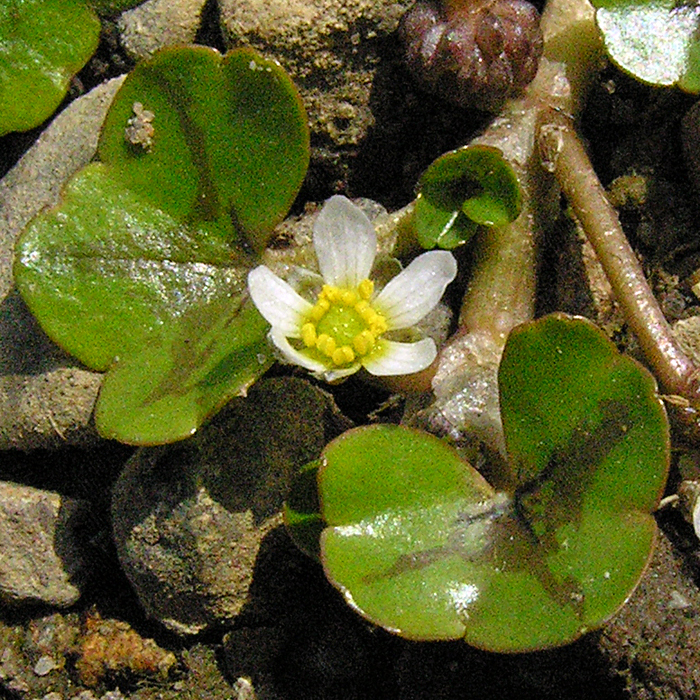 Common in the wetter west of England, Wales and southern Scotland, Ranunculus hederaceus is less common in the east of England and north west of Scotland. In Ireland it is common in the north and south but not so much in the centre of the island.